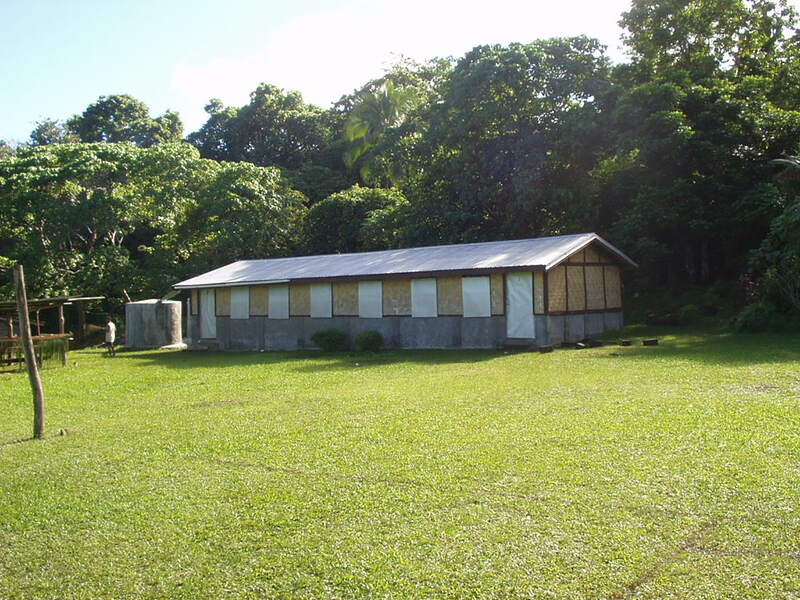 Vatuliu RTC is a vocational school teaching mechanics, carpentry, homecare, and other subjects to the young men and women of Vanuatu. Our graduation certificate is awarded after 2 years of study in any of these three areas. For 2004 we have 55 students and four senior instructors. Vatuliu RTC is located in Saralokambu, about 3 km southeast (and 400 meters up) from the port town of Ndui-Ndui on West Ambae. The area around Saralokambu has about 2000 residents, but many of our students come from other parts of Penama (PENtecost, Ambae, MAewo) and Sanma (SANto, MAlo) provinces. Our first term for 2004 has finished (May). Our carpentry students have been gaining experience working on the on-campus teacher's house and also at the clinic on Ndui-ndui. Half of our mechanics group is in Santo doing practical training at provate workshops and garages, while another group finished up their training here at Vatuliu and graduated on May 4th. Classes in English, Math, French, Geography, and Business have also been continuing.